“Deep and dark sound design shadow the game, while screeches, groans and moans paint a wonderfully gray pallet of mind fatigue and distress.” Read more in our full review of Lone Survivor: Director’s Cut. 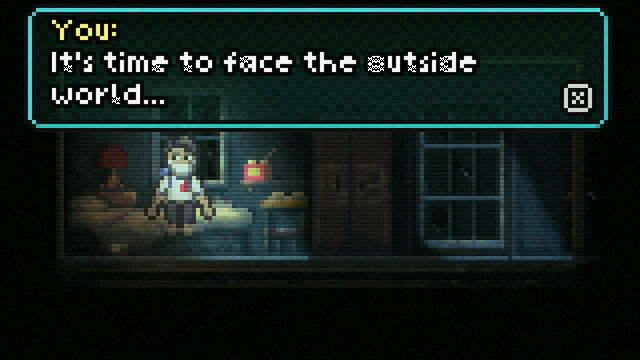 Let’s get this out of the way first, Lone Survivor is a love letter to Silent Hill, and what a love letter it is. Horrifying undertones, shuffling un-dead creatures, a disturbing apartment building with a general feeling of dread are what you’ll be dealing with in this survival horror incarnation. Deep and dark sound design shadow the game, while screeches, groans and moans paint a wonderfully gray pallet of mind fatigue and distress. Lone Survivor is a 2-D game, but don’t let that deter you or make you think that it isn’t positively frightening, because while simple in nature, it manages to create an atmosphere of horror never before seen in a side scrolling quest. Immediately in the game, you are told to turn the volume up, and to turn your lights off. I believe that this is the only way to experience Lone Survivor as it was meant to be enjoyed. You don’t know what you’re getting yourself into, it knows that, and preys upon that fact. Game play wise, Lone Survivor has a tight and mechanical feel to it. There’s not too much of a story, you do interact with other humans at points in the game, but all you are to know is that it’s you against them, and you have to survive. The color palettes of the game give a great sense of darkness, and the flashlight mechanic serves as your greatest tool if used wisely. Be careful however, turn it on and you’ll soon hear the groans and shrieking soundtrack come to life as you are run down by an un-dead apartment dweller. Your flashlight is a great asset, but you are are also given weapons to combat the creatures, but use them sparingly as ammo is scarce and should only be used as a last resort (Like when pushed up against a wall, for instance).While Lone Survivor does a good job at keeping you immersed in it’s 4 to 5 hour journey, it does have issues of it’s own that take away from the overall experience. There’s not too much of a story, you do interact with other humans at points in the game, but all you are to know is that it’s you against them, and you have to survive. The volume is a bit too loud, while I understand that the designers of the game were going for a sense of feeling trapped and being in over your head, I think we could have done without the huge gain increase apart from other video games. The map system is a complete mess, as it’s borrowing (flat out stealing) the design of Silent Hill’s map system. This would work fine were the game in a top down, or 3rd person perspective, but Lone Survivor renders the map useless and intelligible because of the disorienting differences in the layouts of the game itself. Also, not knowing how the game operates could land you in the game’s hard mode without realizing it. 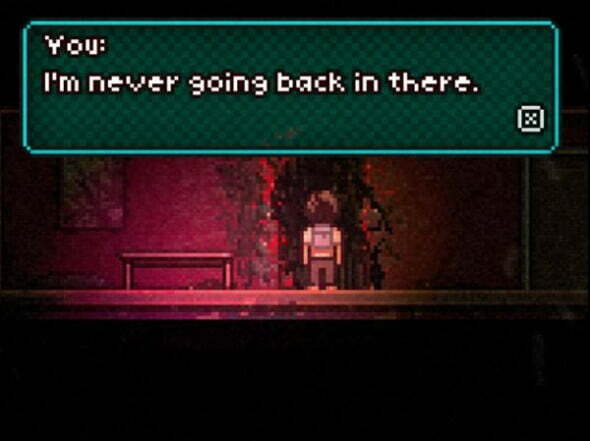 Earlier I touched on how Lone Survivor is an homage to Silent Hill. I use the word homage sparingly though, as the game borrows nearly the exact same map layout, sounds, music and possibly even monsters to get it’s point across. There are parts in the game (Such as the holes you enter), that could be ripped straight from Silent hill 4: The Room. While this doesn’t take away from the actual game play or review score, It is to be noted that Lone Survivor rips off this series in more ways than one. Regardless, It does it well. Lone Survivor makes you feel alone. As it should. It's a wonderful, bite sized, horrific journey through an apartment designed by Satan's best interior designers. An eerie soundtrack, curdling noises, and an overall feeling of despair and sadness give top Survival Horror classics a run for their money. While Lone Survivor doesn't inherently beat out Silent Hill's pacing, game design and story, it does manage to create a niche all to itself. Definitely worth a play through, and it's free now on PlayStation Plus. Good luck.